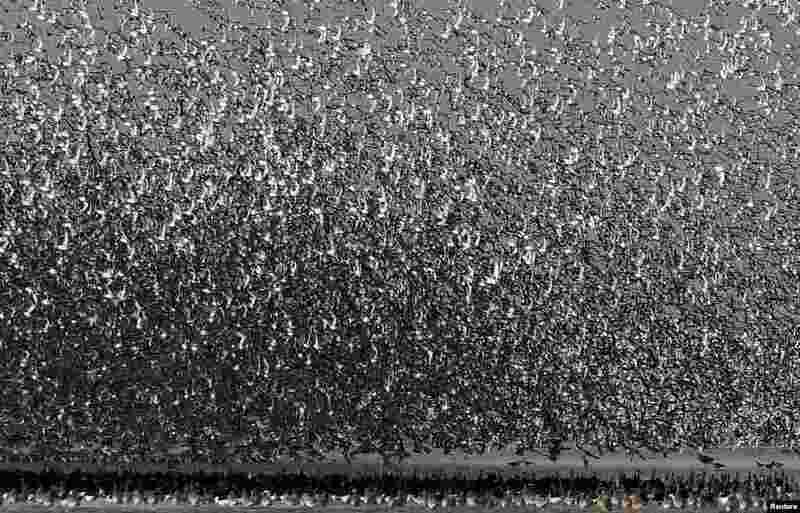 1 Thousands of birds fly onto dry sandbanks during the month's highest tide at The Wash Estuary, near Snettisham in Norfolk, Britain. 2 People dance in a park on a foggy day in Huai'an, Jiangsu province, China. 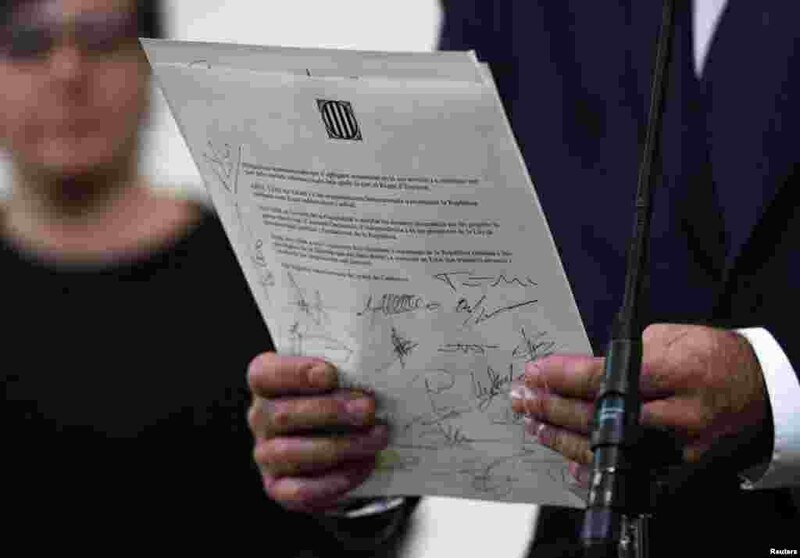 3 A declaration of independence is seen after it was signed by members of the Catalan regional government at the Catalan regional parliament in Barcelona, Spain. 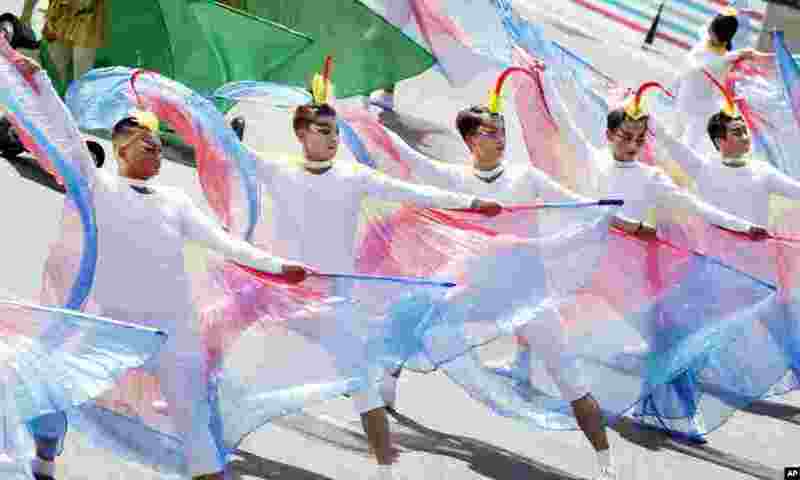 4 Dancers perform during the National Day celebrations in Taipei, Taiwan.